A vintage bedroom is a perfect place to escape the modern stressful life. Create a pretty vintage bedroom for the charm and attraction of the soft accessories, period furniture, classic shades of paint and sheets, homemade items, and unique touches of period style lights. Enjoy creative fun when you collect furniture, fabric, and old treasures to decorate your bedroom in vintage style. 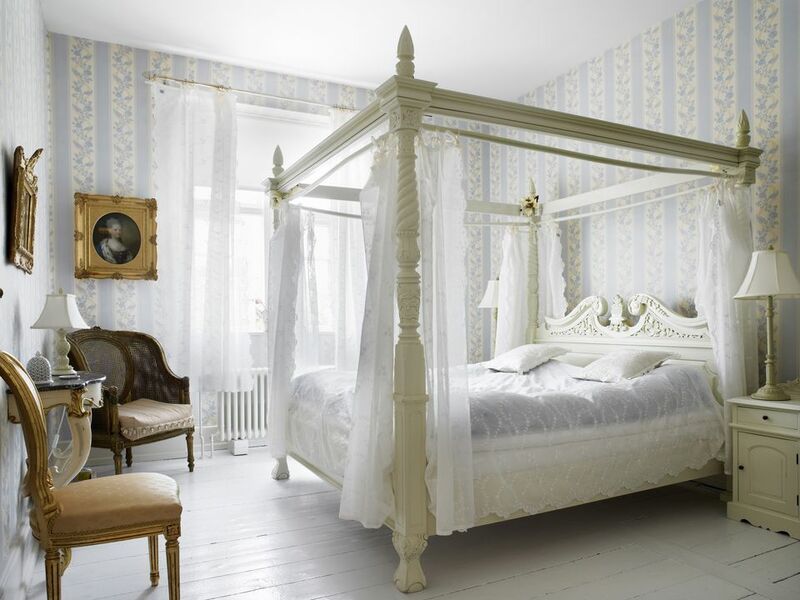 Four-poster beds are in style so it is easy to find a bed that fits a lovely vintage style. Add soft lighting and a chandelier for a beautiful, romantic bedroom. Create a cozy environment with the use of soft wall lights. Add to it the vanilla and caramel touch to warm the senses to make your resting place cozy. A single piece curtain or blind made with lace that is usually white or in any other light color lets soft light flow into your vintage bedroom. Single color sheers compliment any decor or style, especially vintage. The French style light-framed wood furniture is a signature of vintage decoration. 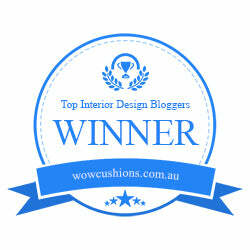 This includes delicate accessories like tables, seating, dressing, and storage in this gorgeous vintage style. Soft colored fabrics with delicate printing are the specialty of the vintage style. 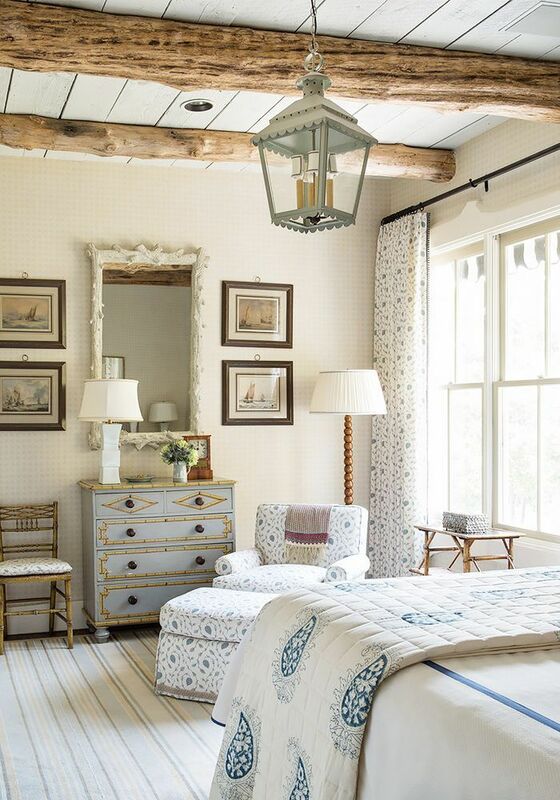 This vintage look is yours with inexpensive textured and patterned curtains, sheets, and rugs. A simple blue and white palette is great for a fantastic country vintage look. Add a soft gingham wallpaper design, themed furniture, coordinating bed linens with patterned cushions, and a striped rug to give your room a soft sense of country. The vintage cottage style bedroom is classic with a canopy bed, and sheer, lacy curtains all around. Include wall hangings and distinctive furniture while blending colors and patterns. A canopy bed in a light frame color are specialties of this look. The antique style furniture, warm color sheets and curtains with strips and natural and calming shades in the accessories create a perfect farmhouse style vintage bedroom. Add some earthy touches with wicker and natural fiber rugs for an extra fun look. Colorful fabrics and furniture throughout your bedroom complete this vintage style. The bright, yet subtle furniture and fabrics give an effervescence of nostalgia as you relax into your retro dreamworld. Include touches of shiny, quilted fabric and coordinated floral wall coverings. Carefully curated art pieces and treasures will bring your glam vintage bedroom together for an incredibly sweet, romantic look.